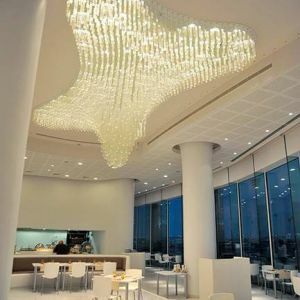 This futuristic hotel complex, built on the man-made Yas Island, towers right above the Formula 1 racetrack – the Yas Marina Circuit. 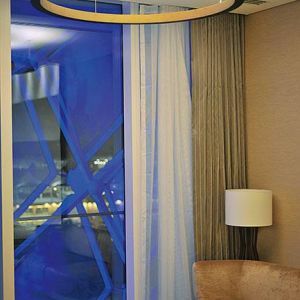 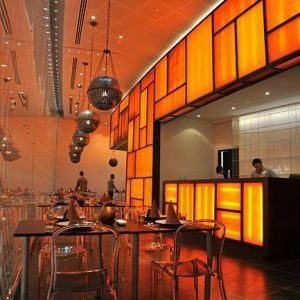 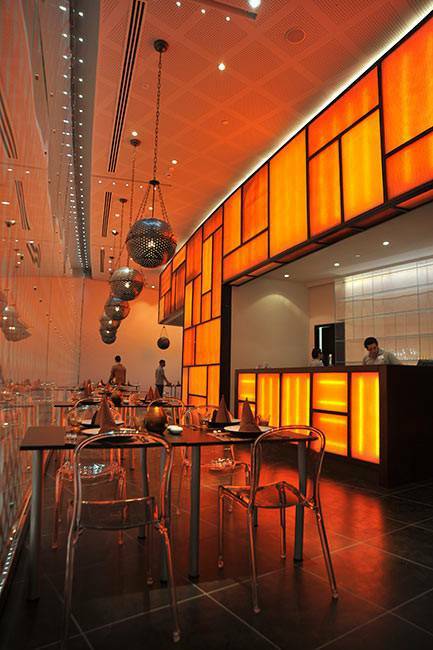 The hotel’s characteristic feature is its peripheral cladding formed from LED panels that enable the building’s attractive colorful illumination. 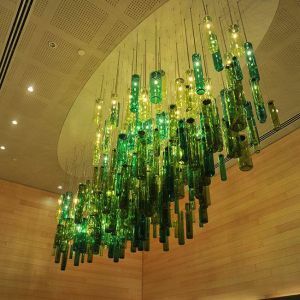 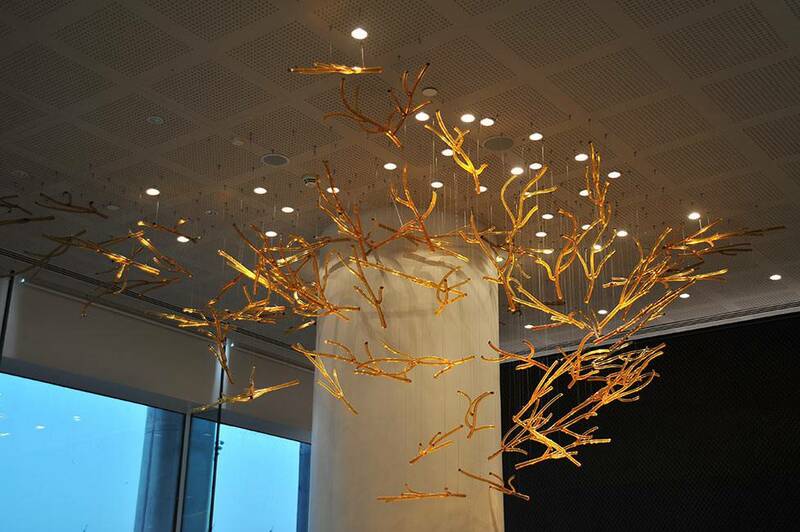 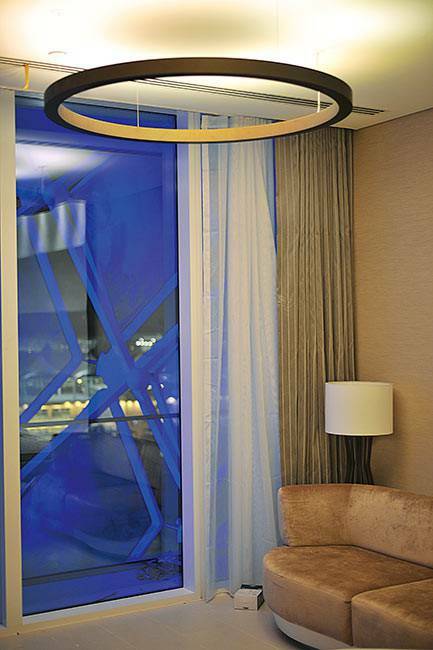 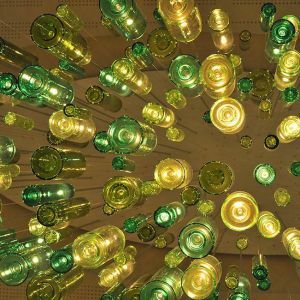 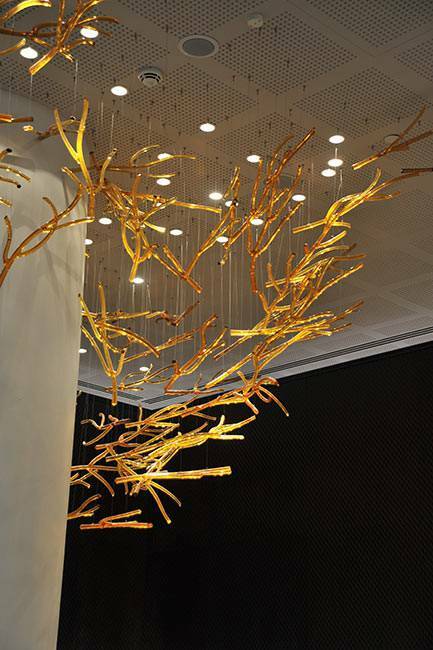 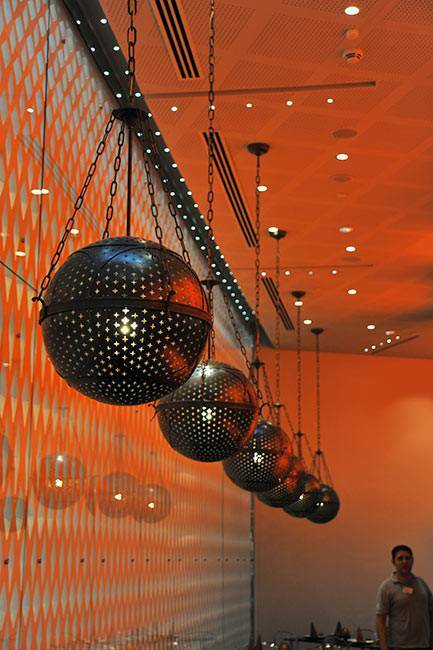 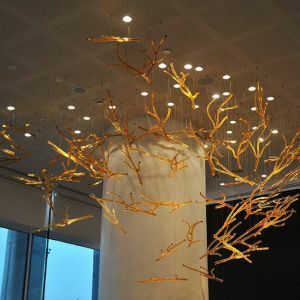 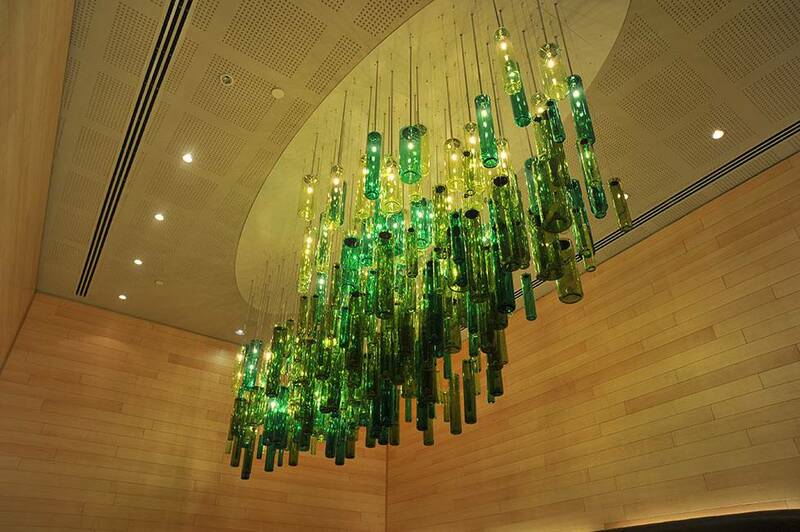 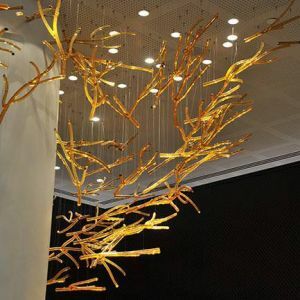 Lighting fixtures by PRECIOSA illuminate interiors throughout the entire hotel, be it the hotel’s lobby, several restaurants in various architectural styles or a presidential suite. 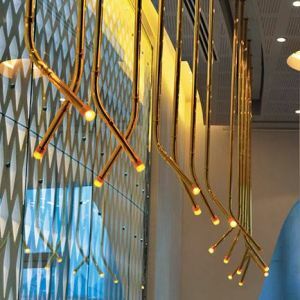 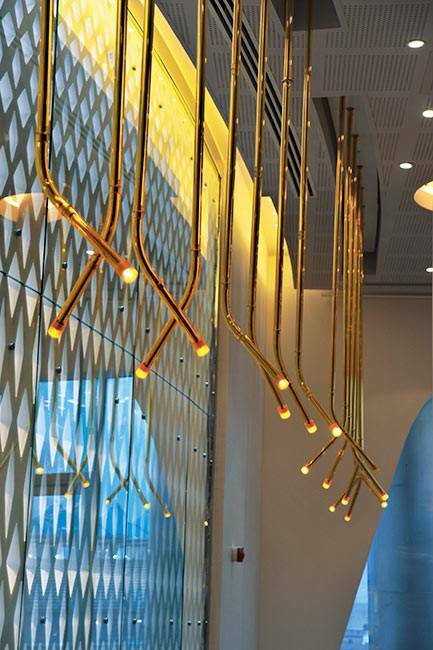 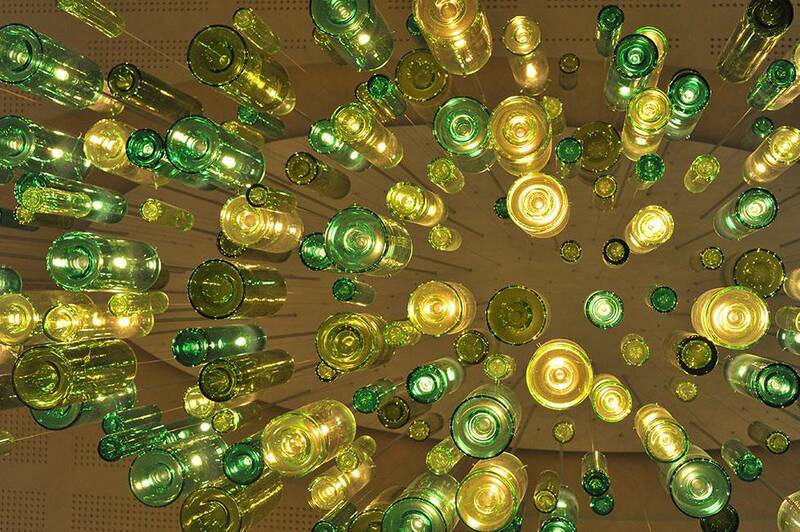 The design project is based on three basic levels: the first level features lighting sculptures created from chandelier trimmings and glass rods with inserted optical fibers serving as modern light sources. 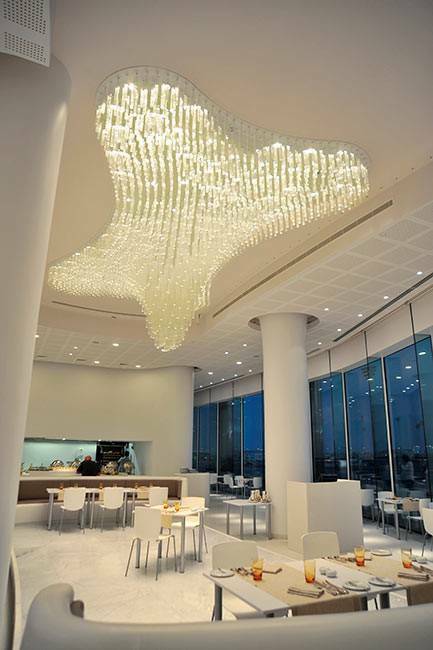 The second level is characterized by both glass and metal components of simple shapes loosely suspended to form imaginative configurations. 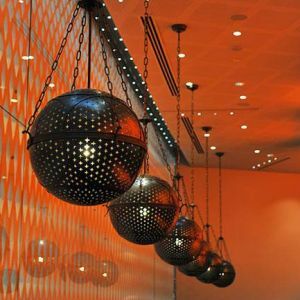 And finally, the third group of lighting elements follows the prevailing architectural trend towards using intersecting geometric shapes such as crystal blocks or objects with round lines as can be seen, for instance, in hanging lanterns.